Thank you, TalkShop, for this enlightening learning experience. From now on, I will avoid wasting my time worrying, I will be living a healthy life style, and I will have a positive outlook in life. TalkShop workshop in EffectiveTime Management taught me the value of using time efficiently. The program design is very effective in terms of Time Management insights which can be applied to my work and personal life. The topic I like most is procrastination and how to counter it. 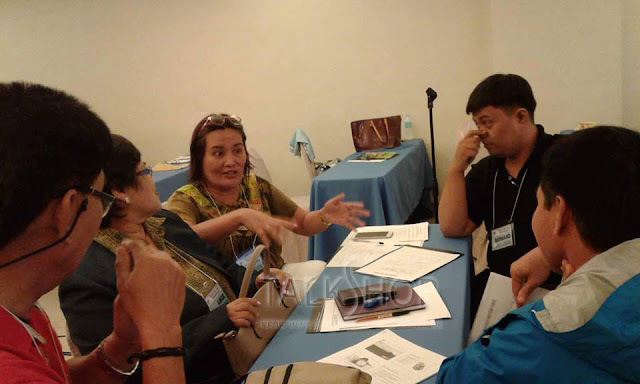 The TalkShop Consultant, Ms.Menchie, is very competent in presenting the topics. The workshop made me realize that I have to balance my work and personal life. I rated the workshop 5 in all areas. Thank you TalkShop! I learned how to say NO in a positive way (sandwich style), to prioritize important / urgent and differentiate them from not important matters. I have learned to incorporate and understand more the value of time management in my daily tasks. 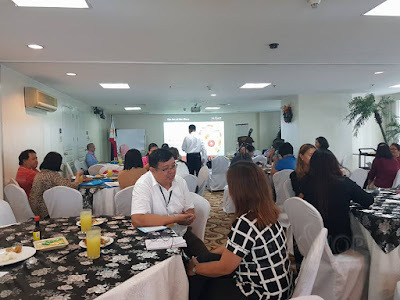 The acquired learning made me realize that I need to eliminate procrastination, I realized that time is very important; any delays will greatly impact not only my performance but also my efficiency as a government employee. TalkShop designed a program that is both substantial and relevant. Aside from theory, learning from other participants opened my eyes to the effects of having poor time management. 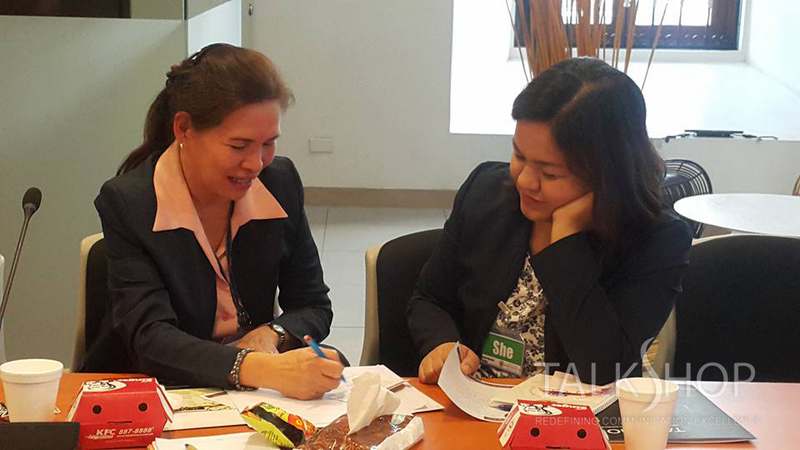 Our TalkShop Trainer is a well-versed and extremely competent Speaker. The workshop made me value time more. Time is so important. We should value our time. We must have time for everything. I was inspired by the perspective to always say kind words you haven’t uttered yet to your loved ones. Tell them you love them now. The session isn’t boring; every second was worth our time.. The program design is so inspiring. I’ve learned to value time and overcome procrastination. Ms.Mench is an awesome Consultant. She inspires the class. She has a lively class because of her excellent topics. This workshop taught me to get rid of stressful things, to be positive and to value time every time. From the lectures and activities that were conducted, I now have a better understanding and knowledge of how to manage my time. If applied, this would eventually change my life from a stressful to a more relaxed healthy life. I like all the topics. 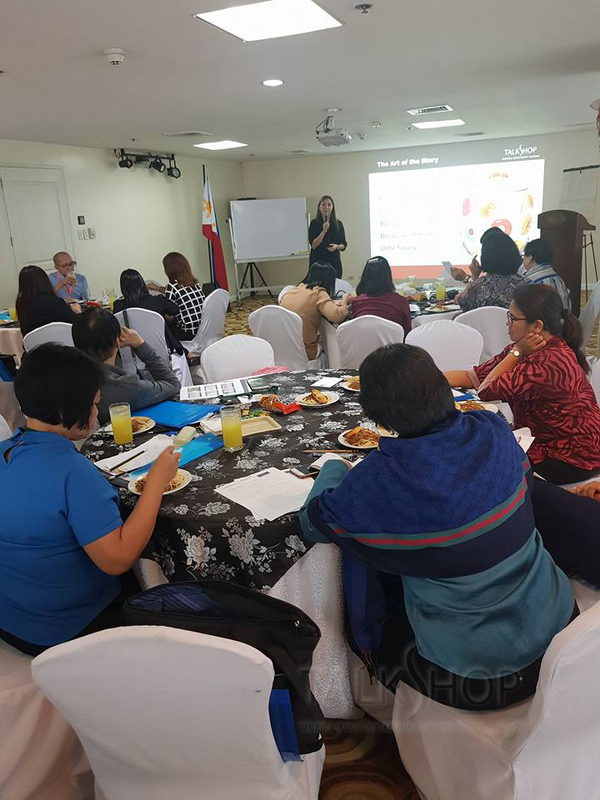 Ms.Menchie, TalkShop Trainer in Effective Time Management workshop is very knowledgeable, approachable and makes her presentation easy to understand. I am very much thankful for the opportunity to attend this TalkShop Training on Effective Time Management for I need to be more effective in managing my time in the office and at home. I’ve learned about the right values, priorities, and best practices in life, how to address procrastination, and aim for SMART Goals. The program design is perfectly amazing. I heard about the TalkShop trainings but I am surprised that they are consistently excellent in whatever they teach at DTI. The activity is very much enlightening. Ms.Menchie, the facilitator is very nice, approachable, and accommodating. I gained self-realization and confidence after attending this TalkShop Effective Time Management training. The program design is well-done. Ms.Menchie is energetic and full of ideas in facilitation. I learned that openness gives avenue to solutions. I am motivated to apply everything I learned from her. This is a nice training, not stressful, never boring; full of activities. This is a motivating workshop inEffective Time Management. I like the traffic lights (Go Caution Stop) and sandwich approach. Ms.Mench is very good and not intimidating. I have been a procrastinator for a very long time; now I gained the desire to overcome it once and for all. 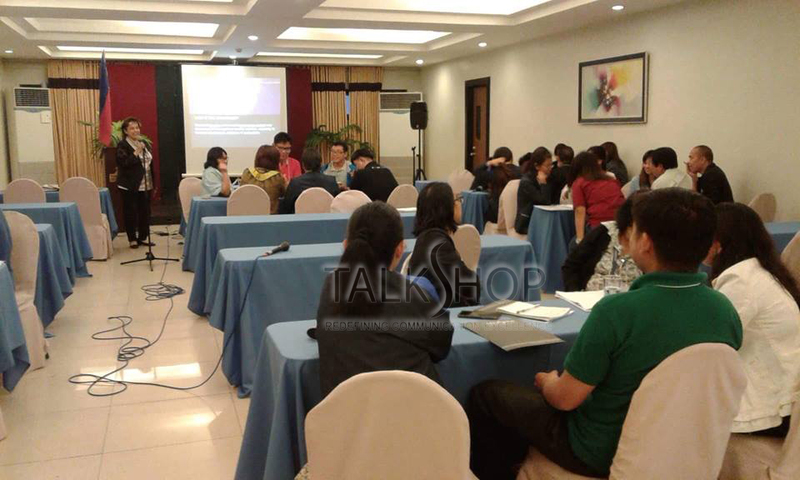 TalkShop training on Effective Time Management is very informative and worth it. The program design is excellent with an excellent Trainer, too. I like the personal SMART Goals and Traffic Light Activity the most. I want to start with my personal time management now and do away with procrastination. The seminar is very helpful for me. I learned that Time is gold, to stop procrastinating, and to aim for work-life balance. The program design is organized and very well executed. Ms. Menchie knows what’s she’s teaching. She’s an excellent Speaker. 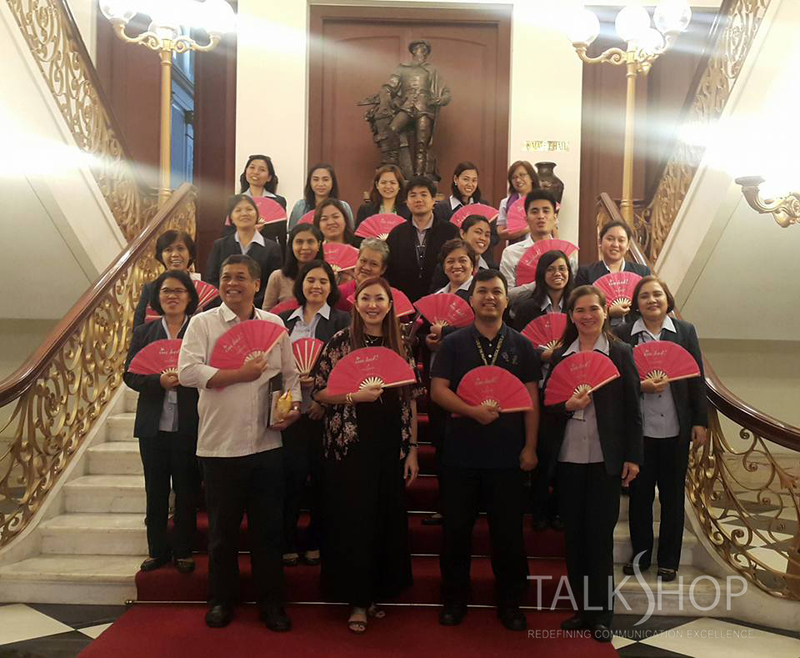 This TalkShop workshop gave me optimism and enriched my communication techniques. 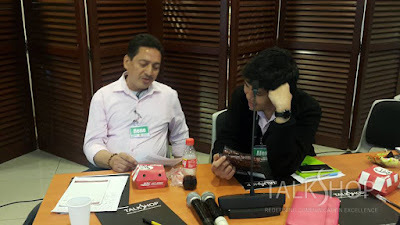 The TalkShop workshop made me realize how much time is actually wasted. It encouraged me to manage my time well both at work and in my personal life. I like the presentations. There were few words but lots of relevant pictures. Our TalkShop Consultant is an Expert. The seminar is very useful in our daily life. I like the discussion on work-life balance. The TalkShop Trainer is very patient and understanding. 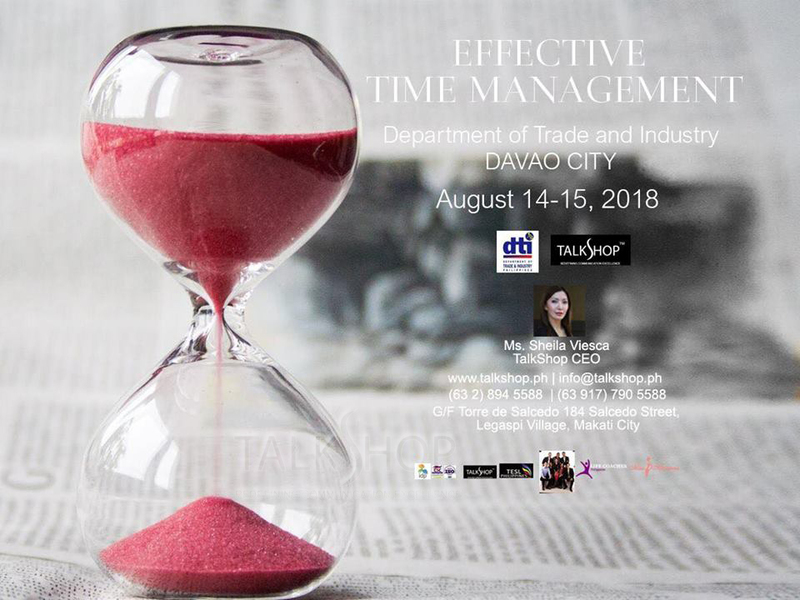 Thank you DTI-HRAS for choosing TalkShop to run this Effective Time Management Training. My great personal change is the transformative effect of this workshop. This is an added knowledge and new learning to apply. We have to balance our lives to have a healthier and happier life. 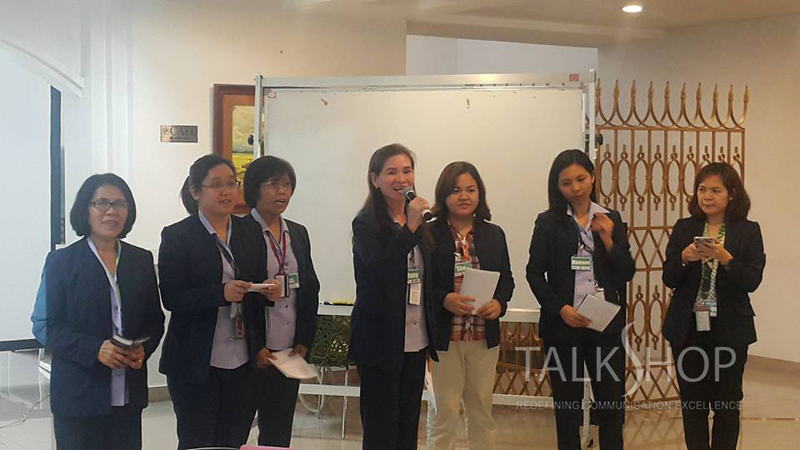 I got 100% learning from this TalkShop Effective Time Management workshop. The activities helped me to be more confident and to know more about myself. Also I learned to maximize my potentials and manage my time effectively and efficiently. 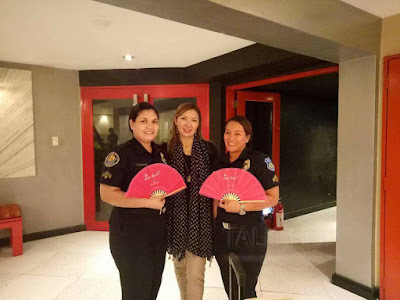 Ms. Menchie is very vivacious, smart and approachable. I learned to be a good planner and love yourself- this encompasses the total you to achieve what you want. I enjoyed attending this seminar on Effective Time Management. I learned how to handle situations and avoid stress. I learned to stop procrastination not only in terms of work but also with the people around me. The Consultant is much aware of her topics. Upon arriving at the office I would like to apply all my learning on how to be effective in time management. 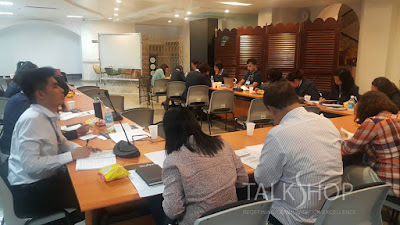 I am happy that I was able to participate this TalkShop workshop. The sessions are very light yet you get a lot of take-away both applicable in our personal and work life. I hope to apply the learning when I get home. Ma’am Menchie is just so cool. 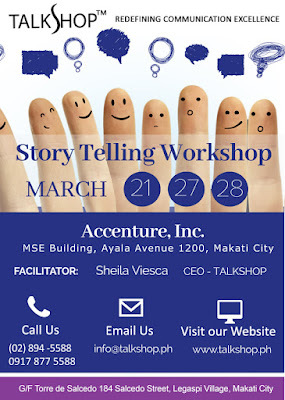 The way she facilitates gave me the impression that this isn’t a training but a one-of-a-kind learning session. The workshop in Effective Time Management motivated me to do better in at work and at home. I am a disorganized person that is why I chose this Time Management Training during our training need assessment. I want to practice wise time spending to do my tasks smoothly. I want to give value to priorities and explore more about the things I can do during my free time. I like the discussion on procrastination the most because it makes me identify my lapses as to why I am not able to do my tasks well. Our TalkShop Consultant showed mastery of the topic. 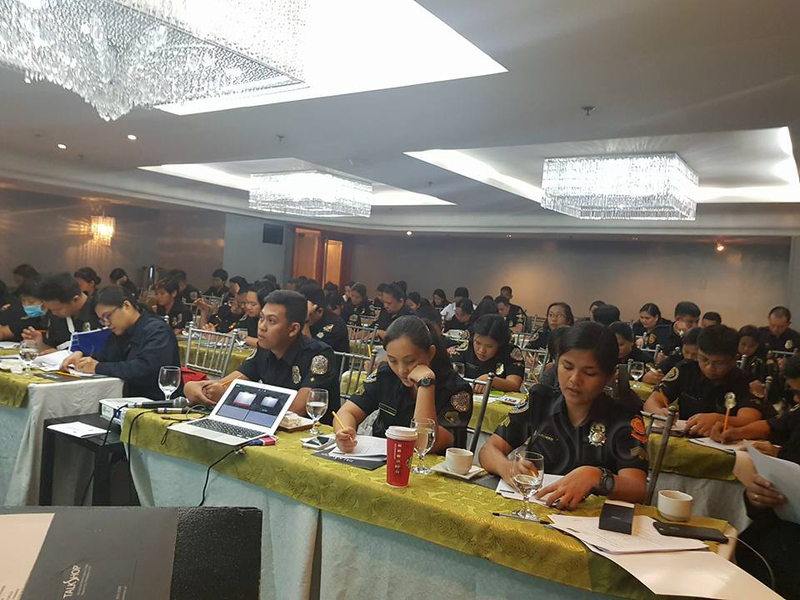 This training reiterates that Time is Gold; it should not be wasted. This TalkShop training has successfully reminded us to manage our time and the time to change our attitude is now. I learned much from this workshop. The activities and reflections make the learning easier and never boring. It provides us the choices on how to manage time. 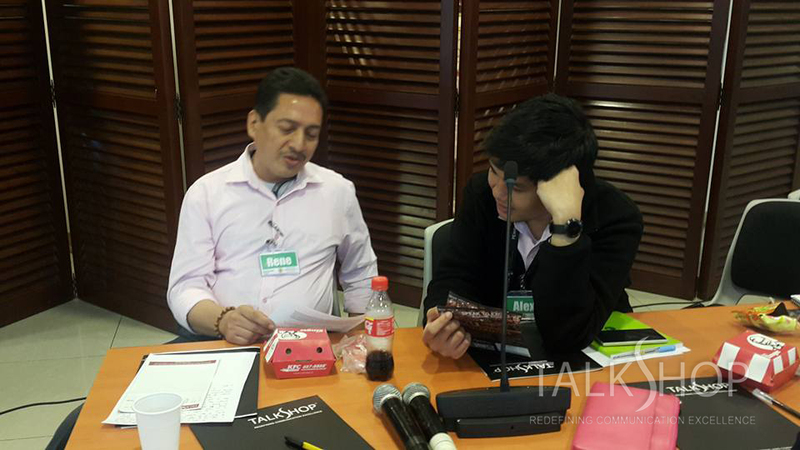 I like the way our TalkShop Trainer presented the ideas through activities. I liked most the exercises on forming the stars while being blindfolded. I also like the presentation on the quadrants because it reflects our attitude towards what is urgent vs. important. This is a realization. The challenge now is how to apply everything I learned to real-life situations. I am so excited to put all of the learnings to practice. Ms.Menchie, our TalkShop Consultant, is full of wisdom. She speaks with authority. She has lots of experience and valuable insights that we were able to benefit from. This is my first training under TalkShop. As a Trainer, I can absolutely say the message has been delivered. All the topics are relevant. The transformative effect is improved time management both personally and in my office activities. Kudos TalkShop and DTI-HRAS! I like TalkShop handling the Effective Time Management workshop. I hate procrastination and appreciate being fully alive in every activity I am engaged in. Invest in time and harvest a successful life. The program is greatly designed and effectively delivered. Our TalkShop Consultant is an expert and is very accommodating. The workshop is very transformative and encouraging. The TalkShop training is very useful for us in DTI for we are multi-functioned. This made us realize that to achieve our goal, we have to avoid procrastination because time is very essential. The program design is great. I like both our individual and group activities. Ms.Menchie, the Consultant, is excellent. I like the way she facilitates the training. 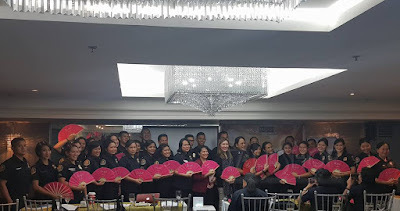 After the 2-day TalkShop seminar, I came to realize that I have lots of wasted time in my career, personal and family life. This is a 5-rating workshop. 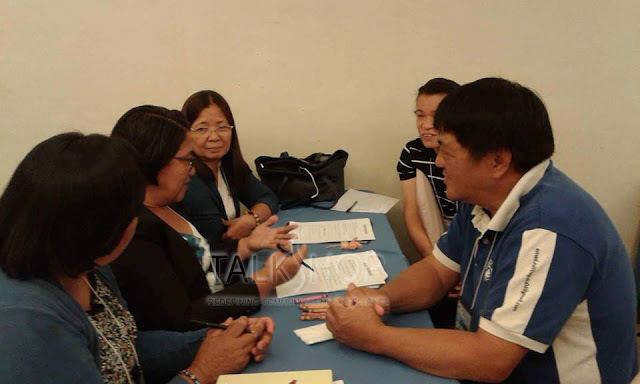 TalkShop excels in all areas of training and people empowerment! All the topics are important. Ms.Menchie is an excellent Speaker and a very good Facilitator. This workshop has made me realize that a lot of things, when reflected on, will eventually make me a better person. I claimed to be an organized person but I realized that I still have lots to improve in my time management. I tend to spend more time at work than with my family. I will now try to balance my time and give more priority to myself, too. All the topics and activities are very much appreciated. The TalkShop Resource Person is very competent, accommodating, and very generous in sharing her expertise. The TalkShop training is very helpful in encouraging us to utilize our time efficiently. We are able to create friendship among participants. I hope to attend more of your training programs. 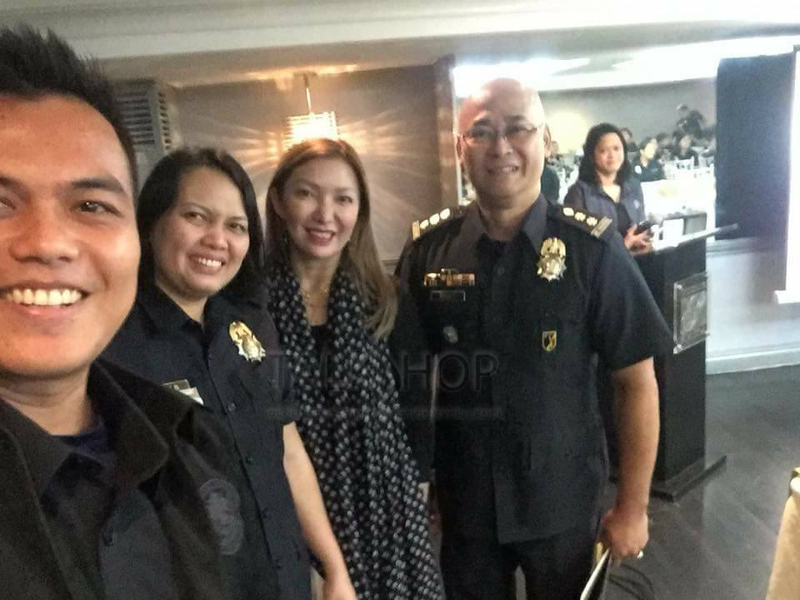 TalkShop was able to make this training interesting and fun. The program design is good. It’s not only applicable to our work but also for our personal life. The Speaker is very knowledgeable and patient. The workshop makes me prioritize values and goals in life and distinguish what is important in life just like the big rocks in the jar exercise. Attending this workshop helps me to apply time management. It really is essential for time is gold. The program design is very good. I like every area of the TalkShop workshop. Ms.Menchie is amazing. She really knows what she’s doing. This workshop widened my horizon and gave me refreshed energy to really apply what I learned. There were so many day-to-day activities in my life that I thought I managed my time effectively but after the session I realized that I did a lot of procrastinating. I am very thankful to our Trainer for helping and guiding us on how to improve in time management. The program design is relatable to our daily personal and work life. I like the SMART Goal exercise the most. Ms.Menchie is an excellent facilitator. Now, I value my time more. I started to have to do list to maximize my time. This is a very significant training in relation to my personal and office tasks. This is an eye-opener of lessons learned on how to manage time. I am very thankful to have attended this workshop. I like the jar principle the most. No amount of words can describe our TalkShop Speaker. Ms.Menchie is very articulate and well-versed. This workshop taught me to eradicate procrastination from my life. I am grateful for the opportunity to learn new things which I can apply both to my personal life and in the workplace. I had this realization that time can either make or break us. 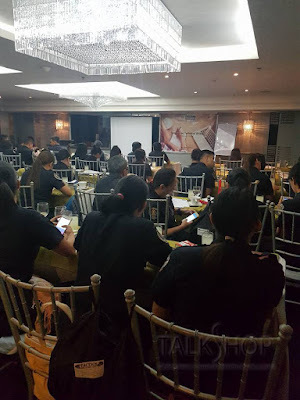 Having this TalkShop training, it helped me understand the importance of spending time wisely and avoiding procrastination to achieve our goals. The topics and activities are relatable to both my work and personal life. The program design is informative at the same time fun. Ms.Menchie is very capable. I am totally amazed. The TalkShop workshop taught me that important and urgent matters should be prioritized and that I should do away with doing unproductive stuff. At my age I have to place greater importance in staying happy rather than amassing wealth. I have to understand myself and my body. I become more committed to important things like my family and work. All topics are important. I learned how to manage my time and avoid procrastination in activities that need immediate attention. The program is well-designed for technical people like me. Our TalkShop Consultant is very knowledgeable. This training made me realize the value of time. I would always say that I have a lot of time without noticing that most of it was wasted. A meaningful life means time well-spent. 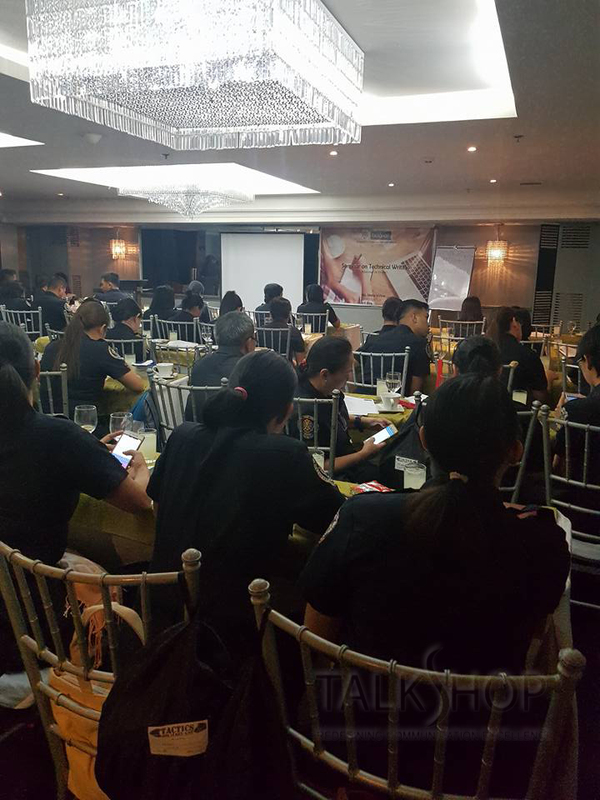 It’s been a great opportunity to be part of this TalkShop training. Time management has been my struggle since I started working but I believe that I’ll be able to improve it with what I have learned from this training. This training is very light. 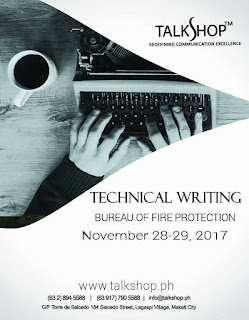 The TalkShop program design ensures that it is not about imparting knowledge but more of letting participants assimilate learning through practical situations. The duration of the training is perfect; not boring. It is very motivating and encouraging. Thanks, Ma’am Menchie for making this training fun and not a brain-drain exercise. 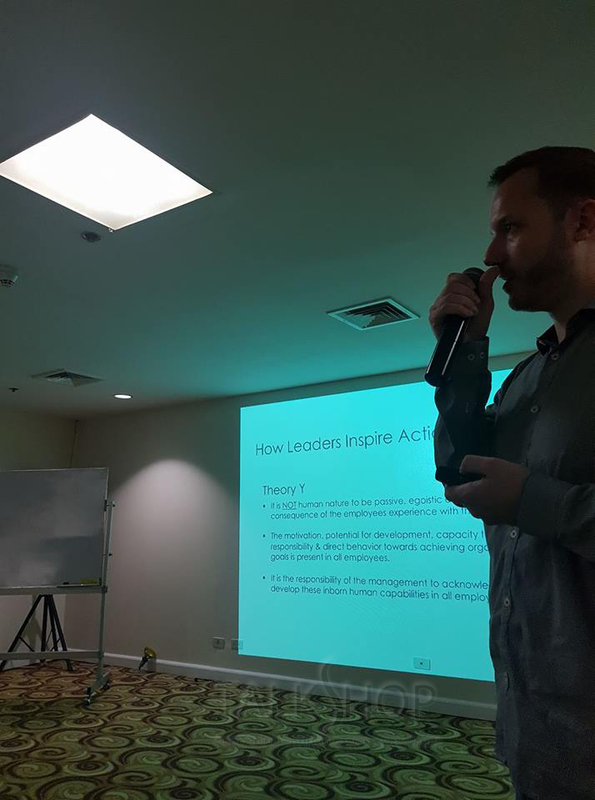 You selflessly shared your expertise and gave us key points to remember after the training. God bless you and everyone on the TalkShop Team!